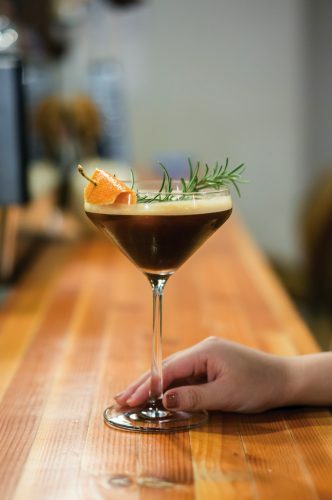 Signature drinks that include sparkling or tonic water make up 90 percent of the photos customers share online at Ghost Note Coffee in Seattle, Washington. Ghost Note’s bright and summery drink, the Jhaptal, contains African espresso, tonic water, rose lavender syrup, blood orange shrub, and lime. 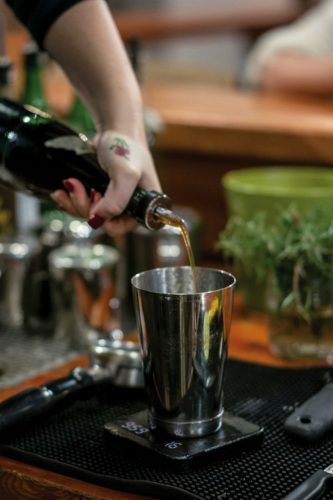 Sparkling drinks are incredibly popular right now, but they’re not always simple to make. 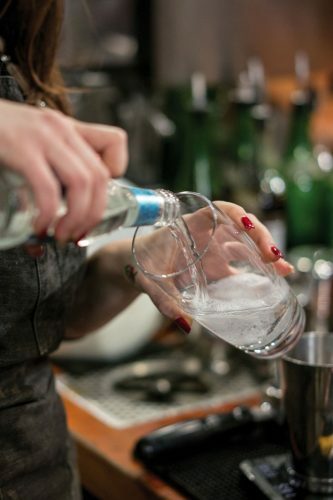 Special equipment and ingredients are often needed, as well as an understanding of the processes behind creating sparkling drinks—whether it’s at the foundational level of recipe creation, or at a more niche level of cleaning kegerator equipment. 42 & Lawrence’s Ides of March, prepared with nitro cold brew and house-made lavender syrup. Oftentimes, rising to that creative challenge requires commitment. 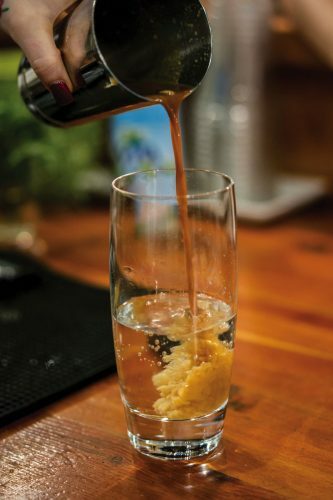 Ghost Note’s Andrews spent four months perfecting a drink now known as the “Sun Ship,” made with espresso, smoked grapefruit rosemary syrup, coconut water, sparkling water, and lime. But his persistence has paid off—fizzy drinks are what set Ghost Note apart. 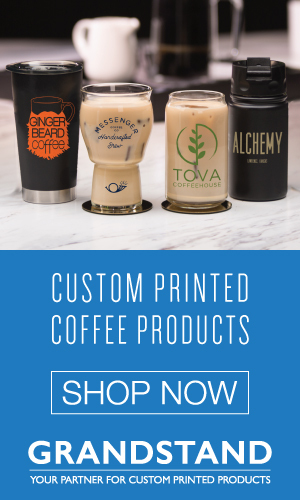 “The fact is, customers can find a good mocha or cappuccino at a million different coffee shops, but there’s only one place they can get a Sun Ship,” he says. The signature drink Sun Ship includes espresso, smoked grapefruit rosemary syrup, coconut water, sparkling water and lime. Erica Swanson, CEO and founder of Tea Bar in Portland, Oregon, is tenacious, too. It took her more than two years to perfect a chai that became the base of her sparkling cardamom chai, made with fresh green cardamom, cloves, whole peppercorns, cinnamon, raw turbinado sugar, and organic black tea. The chai is slow-brewed for 24 hours, chilled then combined with sparkling water. Occasionally, a recipe just doesn’t work. Swanson has tried to make a sparkling matcha, which she says was “the worst,” though she’d like to figure out how to do it one day. Recipes must not only be delicious, they must be scalable. “It’s so difficult to make a high-quality chai that you can also mass produce. 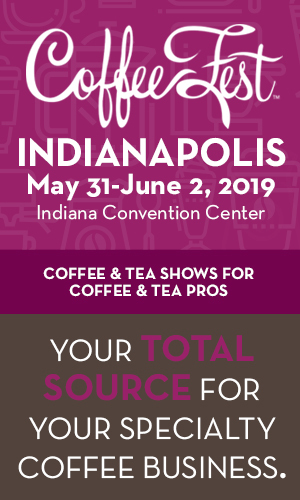 Making something single-serving is very different than making something for three shops to sell hundreds of a week,” Swanson says. Having the right hardware helps. 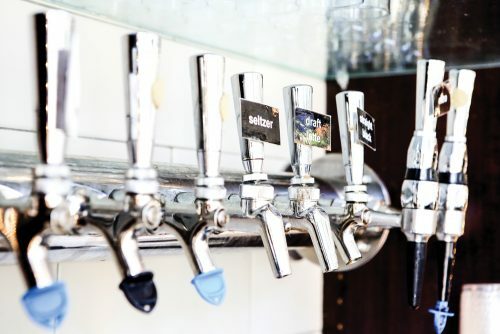 To achieve scalability, many cafés turn to the beer industry for pointers. At 42 & Lawrence, six taps push nitrogen, as well as carbon dioxide, to produce nitro cold brew, draft lattes, coffee sodas, and more. Before opening, the owners spoke with bartenders and brewers, and eventually decided to build their own nitrogenators. 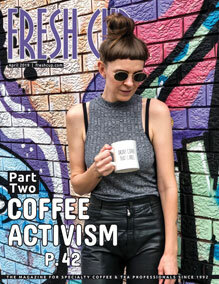 One crucial piece of advice that 42 & Lawrence learned from their research: pure carbonation can’t be added to coffee, unlike beer, as it creates too much acid. Another important tip: With taps comes the important task of keeping lines clean. “A lot of tap lines are hidden, kind of behind-the-scenes work. I can’t see what’s going on, but I have to make sure I’m keeping it as clean as the espresso machine,” says Behne. 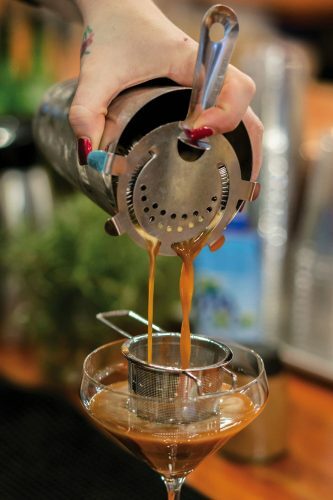 “Just like in a brewery, you need to clean your tips and taps,” says Chris Garrison, owner of Old World Coffee in Reno, Nevada. For better frothing, Garrison also recommends under-filling nitro kegs and then shaking them to thoroughly distribute the nitrogen. A café doesn’t need taps to create fizzy drinks, however. “If you have cold brew concentrate and seltzer, that’s all you need to start experimenting,” says Behne. To serve bubbly water, there are two main options. 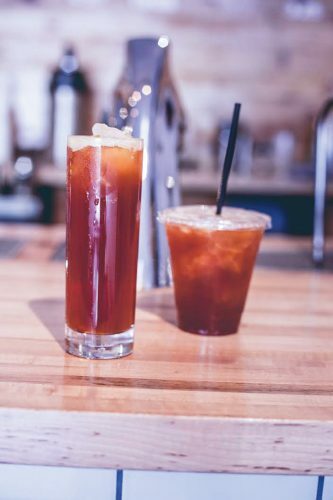 Ghost Note Coffee uses a vendor for sparkling and tonic water, and Tea Bar has a filtration system installed in each of their shops, which provides in-house access to carbonated water via a soda gun. “With tea, it’s so important to have pure, clean water,” Swanson says. 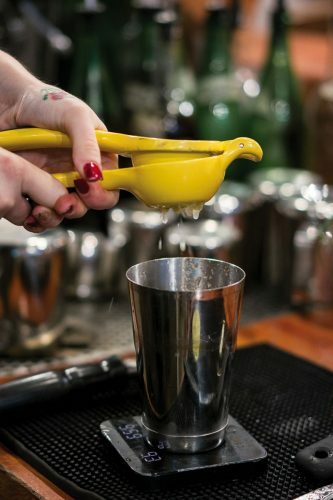 Adding sparkling drinks to a coffee and tea menu involves creativity, persistence, special ingredients, and potentially even new equipment, but there’s tremendous upside—namely, most people love bubbles, whether they’re in the form of soda, kombucha, beer, cocktails, or Champagne. 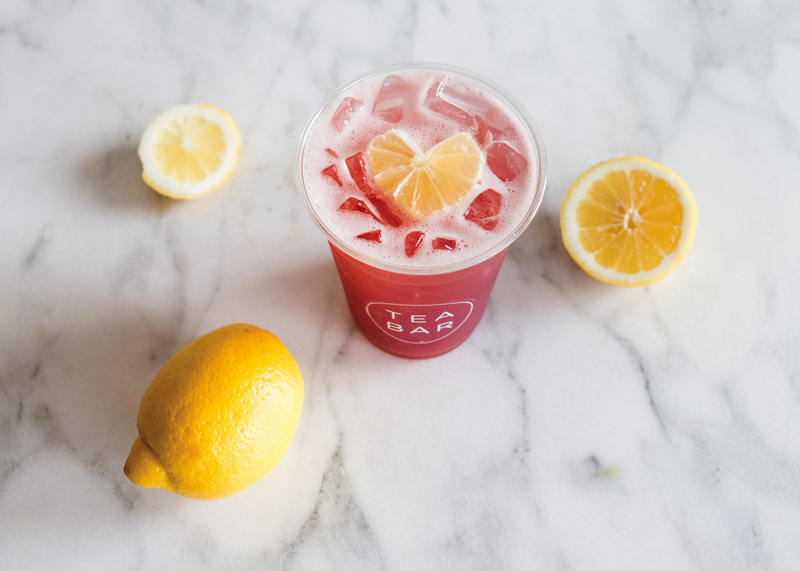 Tea Bar offers many bubbly drinks including a sparkling hibiscus lemonade. 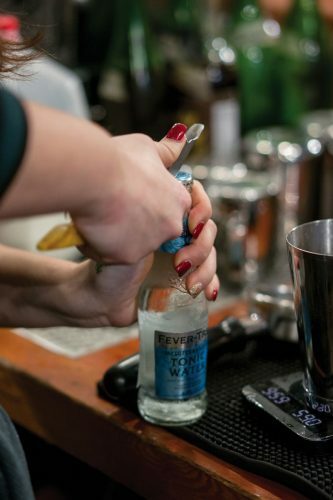 Old World Coffee offers its Cafe Tonix with cold brew and tonic water. Besides giving customers something fresh and exciting, carbonated drinks give cafés and baristas an opportunity to experiment. “For so long in coffee, we’ve been dictated by the actual harvest season—you get Kenya when Kenya’s available. 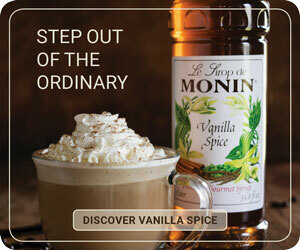 Coffee sodas allow us to play with seasonal ingredients that are local to us as well,” says Behne. 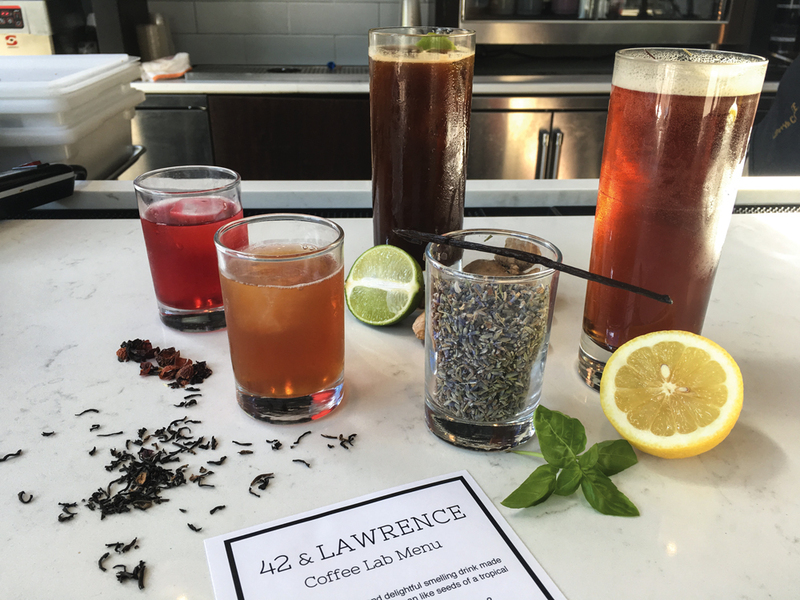 For instance, 42 & Lawrence makes a drink called the “Redheaded Stranger,” a coffee soda with hibiscus, rosehips, and pomegranate. “It’s about crafting recipes you’re passionate about, and doing something creative and amazing that your customers appreciate,” says Swanson. Recently, Ghost Note started working with a local business that makes shrubs, a flavored drinking vinegar. 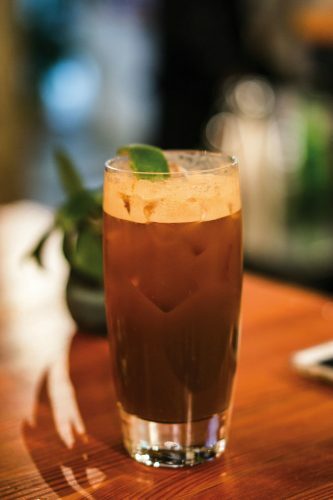 One of their newest drinks, the “Rivercane Tonic,” contains espresso, sweet tea syrup, peach–brown sugar shrub, peach bitters, and tonic water. 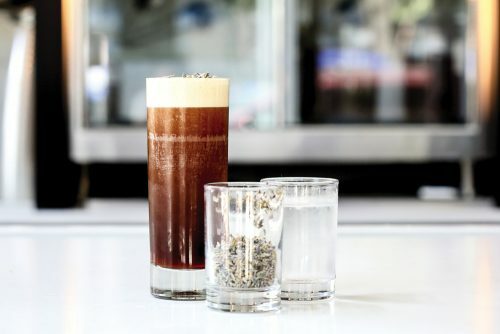 Old World Coffee offers a simple homage to a gin and tonic—the “Cafe Tonix,” made with cold brew concentrate and tonic water.